Environmentalism has previously been viewed primarily as a cultural and conservationist movement. Today, Green IT movement is changing the face of environmentalism forever. Concepts such as energy conservation, reduced carbon emissions, PC and server virtualization, alternative energy sources, and other concepts are all having meaningful impact on businesses throughout the world. 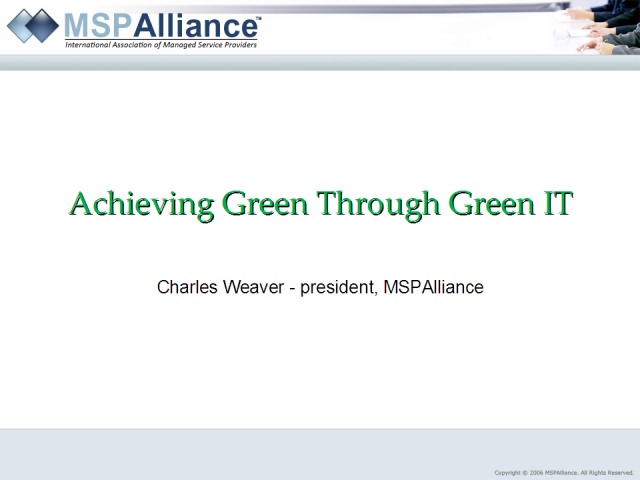 Most importantly, these Green IT concepts are saving businesses money.